Do you eat an eel? 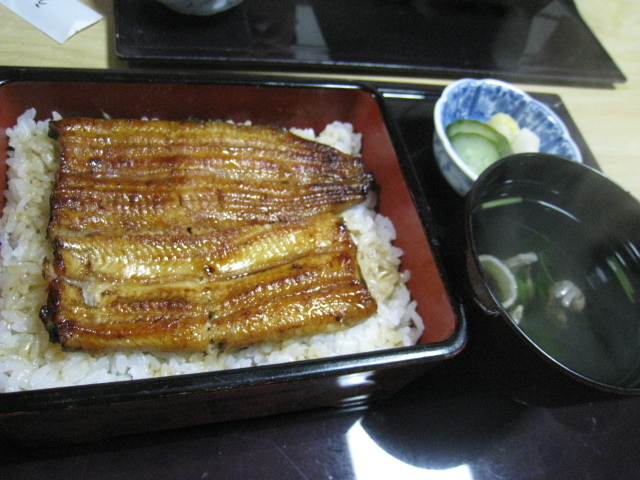 Spitchcocked eel(unagi-no-kabayaki) and rice in a lacquered box. 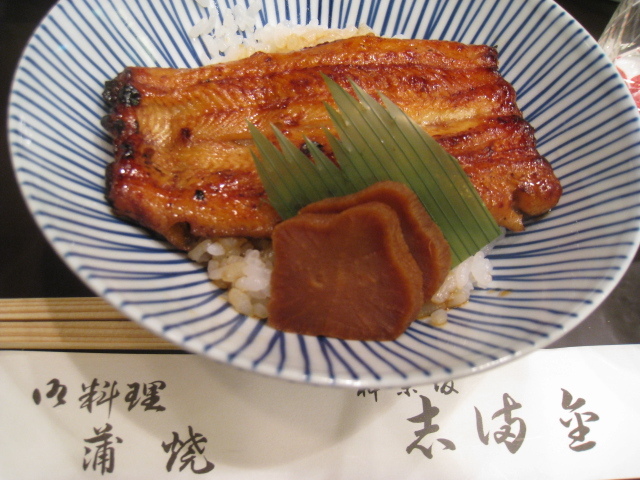 Spitchcocked eels(unagi-no-kabayaki) are a favourite dish with Japanese . 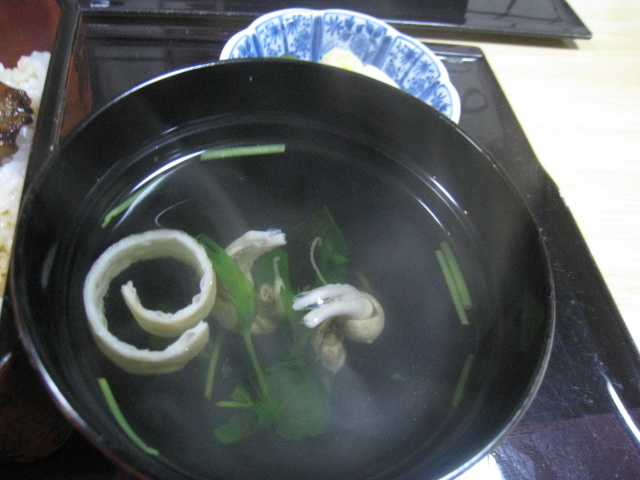 in order to take nourishment and overcome the heat. by Gennai HIRAGA, this is not confirmed. 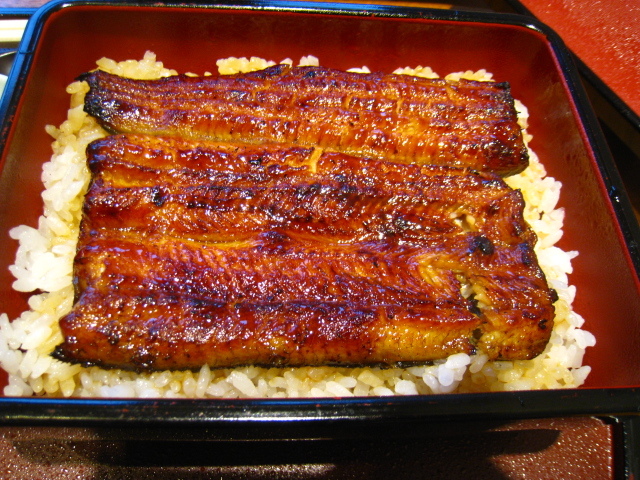 ↑　うな丼　Spitchcocked eel(unagi-no-kabayaki) and rice in a Bowl. It is said that it was advertising of the eel restaurant. 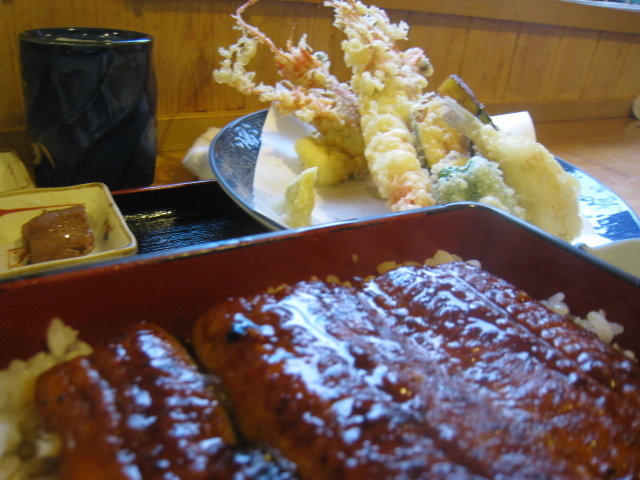 And so, other eel restaurants followed suit, and the custom took root. 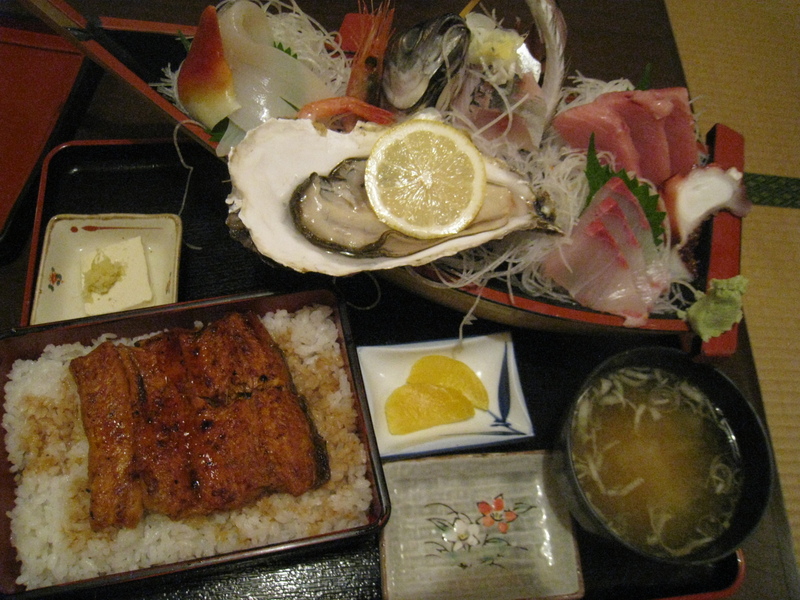 ↑　うな重定食 Eel and rice in a lacquered box set meal. the wisdom of the old person to survive summer heat is succeeded to now. 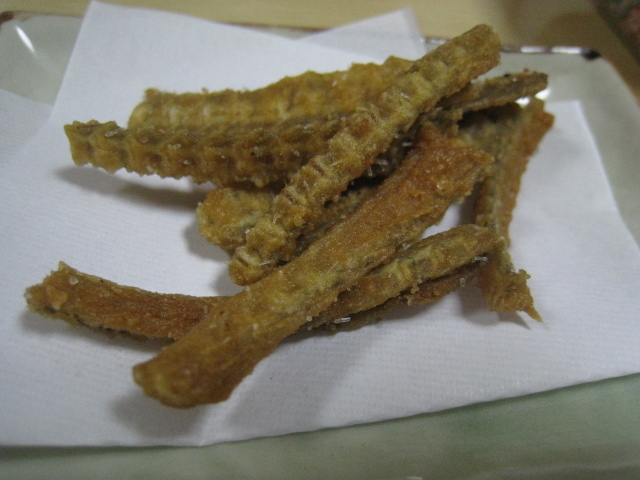 ↑　うなぎの骨の揚げ物　Deep-fried food of the bone of the eel. 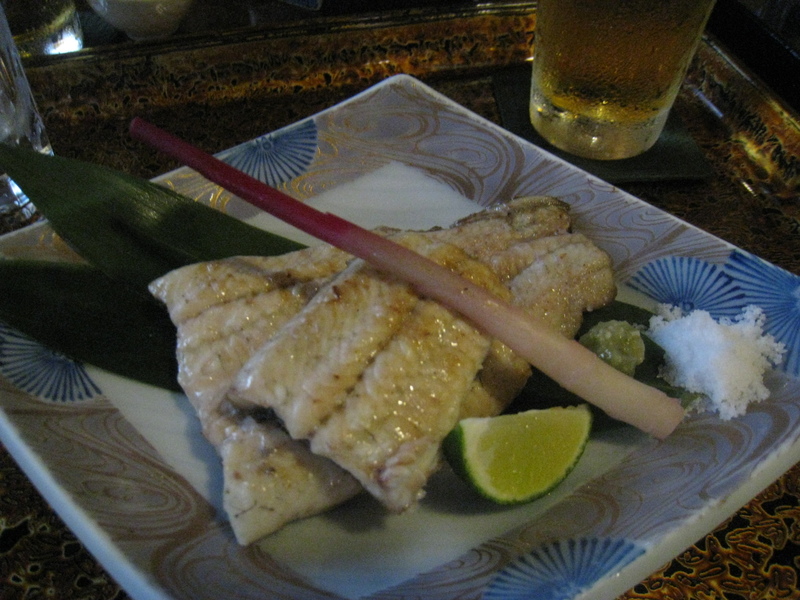 Grilled eel with salt only. The Ox of the dog days is July 29 2014.